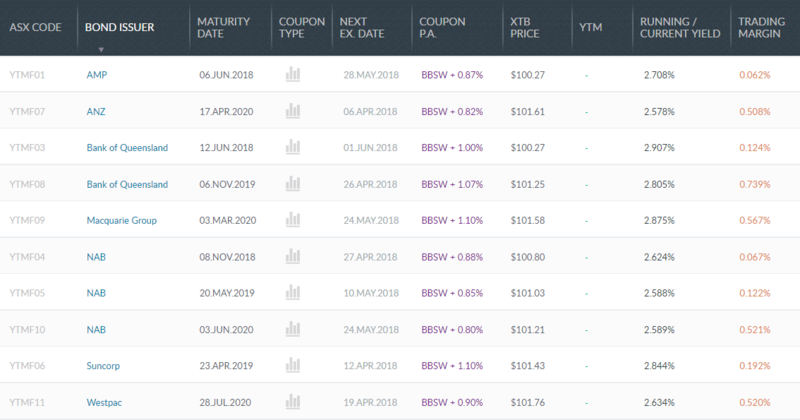 Buying XTBs is as easy as buying shares. If you are unfamiliar with the process your adviser, broker or financial planner can buy them for you. If you want to buy them yourself you can do so via an online broker. The first thing you need to know when buying securities is the ASX code. Every XTB starts with the letters YTM followed by three more letters – these identify the issuer. For example, YTMBHP is BHP, YTMTLS is Telstra and YTMLLC is Lend Lease. You can find the code of the XTB you want to buy and see our whole range on our Available XTBs page. After you have chosen the XTBs you want to buy and have determined the amount you would like to invest, take a moment to read the Product Disclosure Statements (PDS) for the XTBs you are going to invest in. If you’re trading using an online broker, placing a trade for the first time can introduce you to terms that you may not be familiar with. Code: Enter the 6 digit XTB code (starting with YTM) for the XTB units you’d like to buy (or sell). Quantity: Enter the number of XTB units you’d like to buy (or sell). Price limit: Tick the box ‘At Market’ to buy at the XTB’s current price. Expiry: Tick the box ‘Good for day’ to buy at the XTB’s price at the closing of trade for that day. If you’re using an online broker, you may see ‘Theta Asset Ltd’ during the trading process. Theta Asset Management Ltd is the ‘Responsible Entity’ for XTBs. The same process is followed if you want to sell your XTBs. If you are holding to maturity you hold them, receive the regular coupon payment and the face value of the bond at maturity.